We have found that many companies are not aware that a P11D form has to be completed for any employee that has received benefits from his or her employer. This can be another time consuming task, which is why we also offer a full P11D completion service. 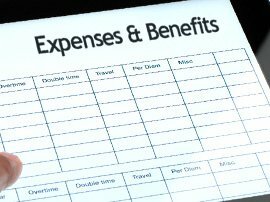 If we already do your Payroll Services, then all the relevant information is collected anyway and we know which employees receive which benefits. This enables us to offer our P11D completion service automatically to our existing clients. It’s easy. We send a form to each member of your staff who receives benefits. They complete it, send it to us and we calculate the tax due. We send it back to you for your approval, before filing it on line on your behalf by 5th July every year, with your payment to HMRC due by 19th July.